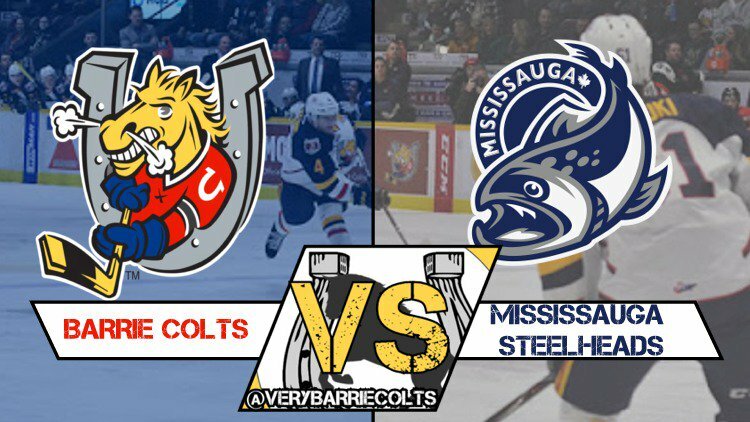 Video highlights from Barrie Colts 4-2 WIN Over the Mississauga Steelheads. #OHL - Very Barrie Colts | A website covering the Barrie Colts of the OHL. Last night the Barrie Colts beat the Mississauga Steelheads 4-2 at Barrie Molson Centre. Jacob Tortora continued to impress posting his first OHL hat-trick, while Aidan Brown scored the other goal. Kai Edmonds got the start in goal for the Ponies. Here is a look at the highlights from last night. Kai Edmonds made 30 saves. The Colts next game is Saturday VS the Owen Sound Attack.